The Israelites had to fight to get to the promised land, and they had to fight to get in. Once there, they had to fight to clear it of enemies, and then fight to keep it so. David had to fight to secure his throne, and he too had to fight to keep it. God has long fought for the romance he desires with us, and he fights on even now. You needn’t be afraid of the fight. The battle can be won, and it will call forth wonderful things from you, things like courage and sacrifice, steadfastness and love. We live in a love story, set in a great and terrible war. 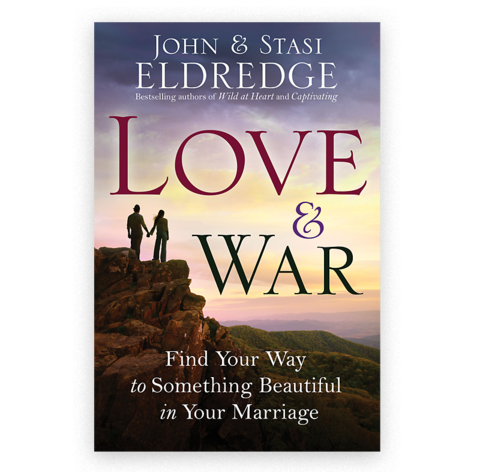 If we will confront our battles for what they really are, against our true enemy, we can find our way back to the Love Story. It may take time, and repeated bouts. Of course the war itself on earth will not cease until the White Rider returns. Meanwhile, our hearts are created for heroic love, and you will never feel more alive than when you are loving heroically.